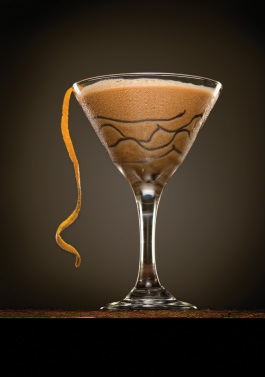 Lightly drizzle chilled martini glass with chocolate syrup. Shake remaining ingredients with ice. Strain into glass. Garnish with white chocolate shavings and orange zest.